Casa Bella Casita / Cabin / Guest House can be rented with or without the main house. 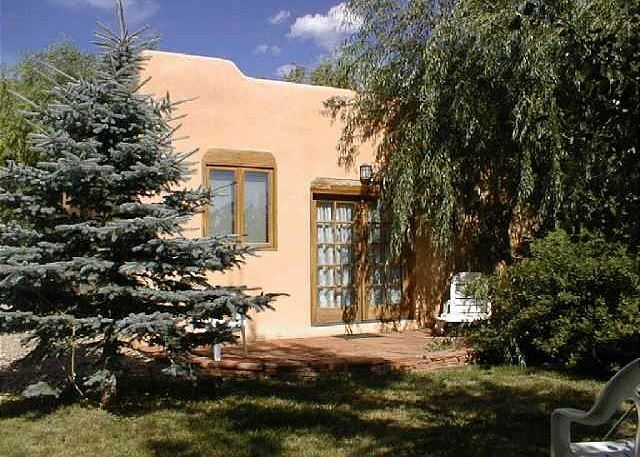 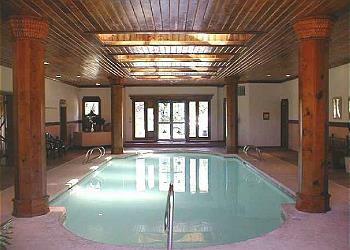 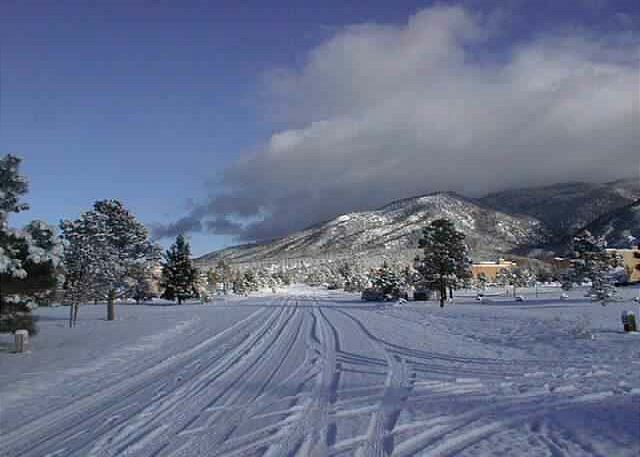 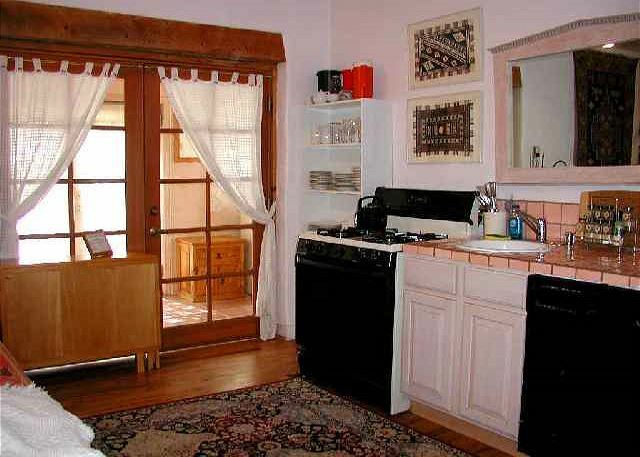 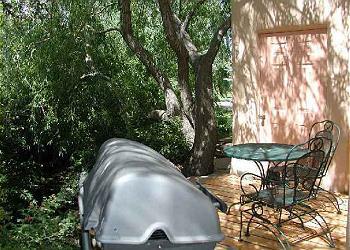 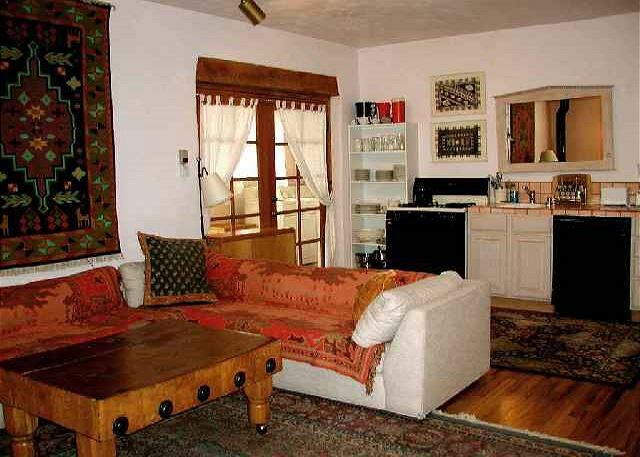 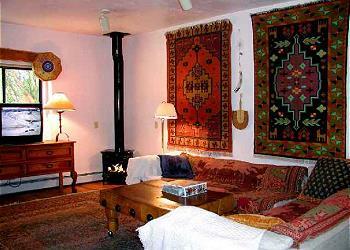 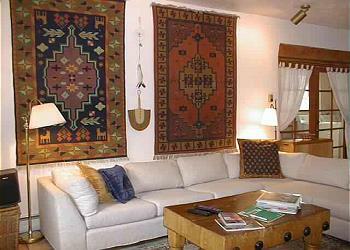 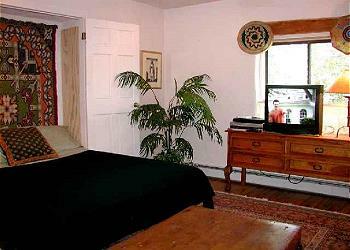 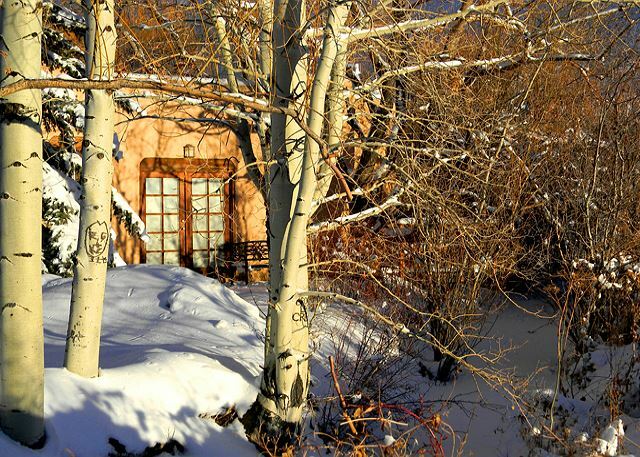 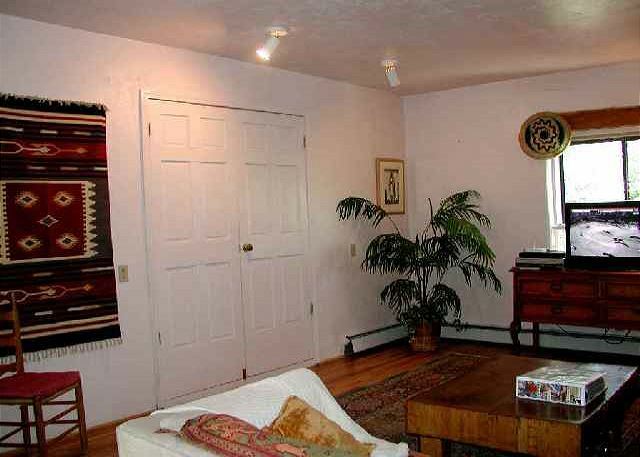 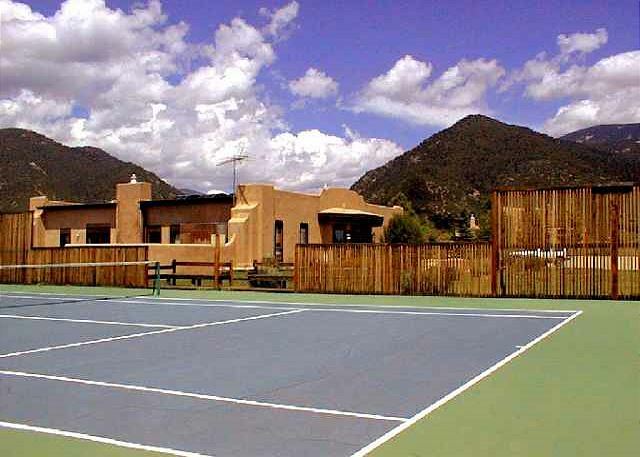 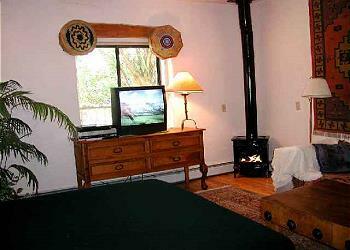 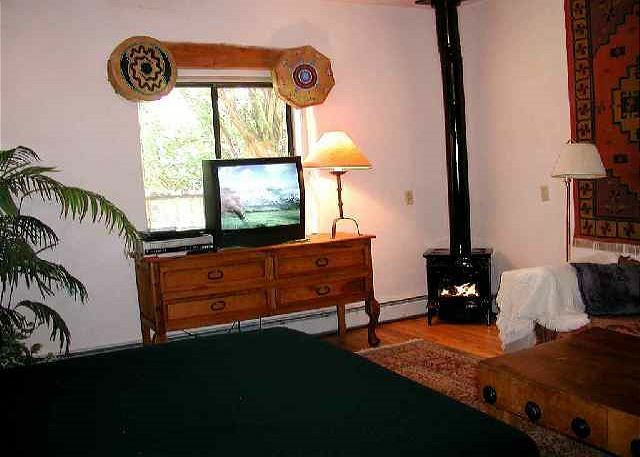 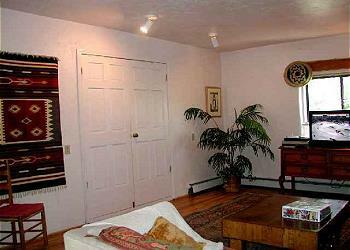 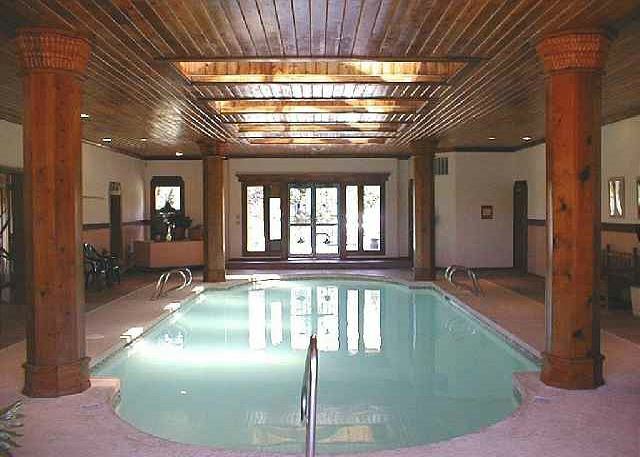 The two Taos vacation rental homes are well separated and offer a good sense of privacy from one another. 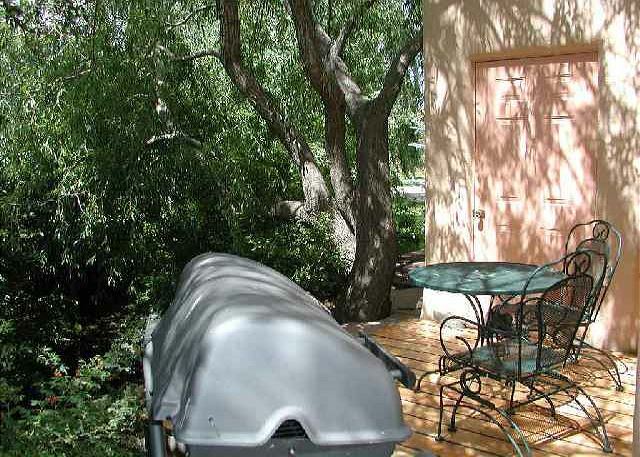 Casita Bella's tree shaded deck offers a private hot tub, outdoor dining, gas grill and is perched above the "Acequia" (a stream which is part of the famous New Mexico irrigation system - recall the novel "The Milagro Beanfield War"). 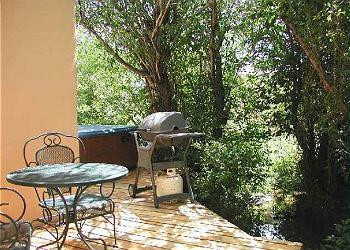 In addition to the shaded and private deck is a raised flagstone patio offering extended outdoor shaded living space. 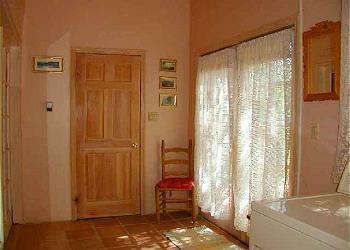 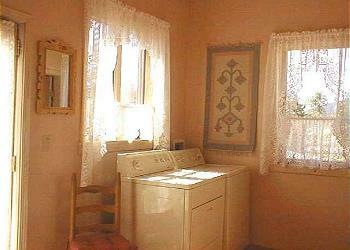 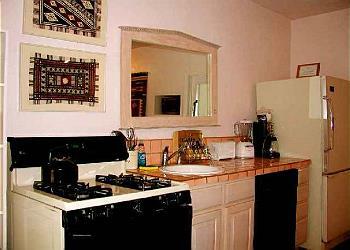 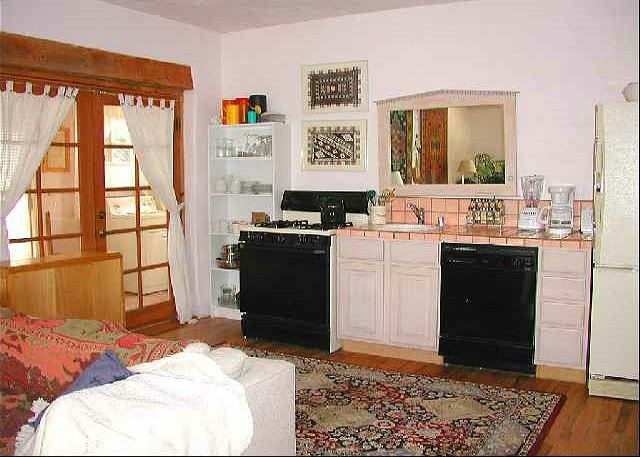 Although small and cozy, Casita Bella is big on value and has become "home away from home" to many repeat guests.